Those of you who know me well probably also know that I am somewhat fixated on the idea of Christian love. My focus on this subject is not, however, the result of some idle curiosity or even a particular intellectual interest. Nor is it born out of either a desire to carve out a niche ministry for myself or an attempt to become an expert in some particular facet of the Christian life. The reason for my particular (and perhaps peculiar) interest in love is that Jesus made it plainly obvious that I must be interested in love -- and you, fellow believers, must be too. After all, what did Jesus say are the two most important commandments? The Christian walk involves a process sometimes called "sanctification." It is the process by which the Holy Spirit both transforms us and sets us apart for the work of God. It involves being conformed in character and in the way we live our lives to the image of Christ. It is not my purpose in writing today to do an in-depth study on the meaning of "sanctification." But, I do want to give you something very practical to think about. If the two greatest commands are that we love God and that we love one another, doesn't it follow that learning to love God and learning to love one another are at the very least vital components of the sanctification process (if not its very essence)? My point in raising all of this is to say that "love" is extremely important to God, and so must become extremely important to us. 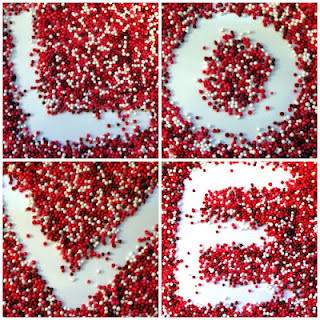 And, to pursue love we must understand what love is -- and perhaps what love is not. When I was reading through my "Application Study Bible" the other day I was struck by a footnote that said: "Real love is an action, not a feeling." As I began to research what Bible scholars and pastors had to say on this subject, I found that some agreed with that statement, but that others did not. 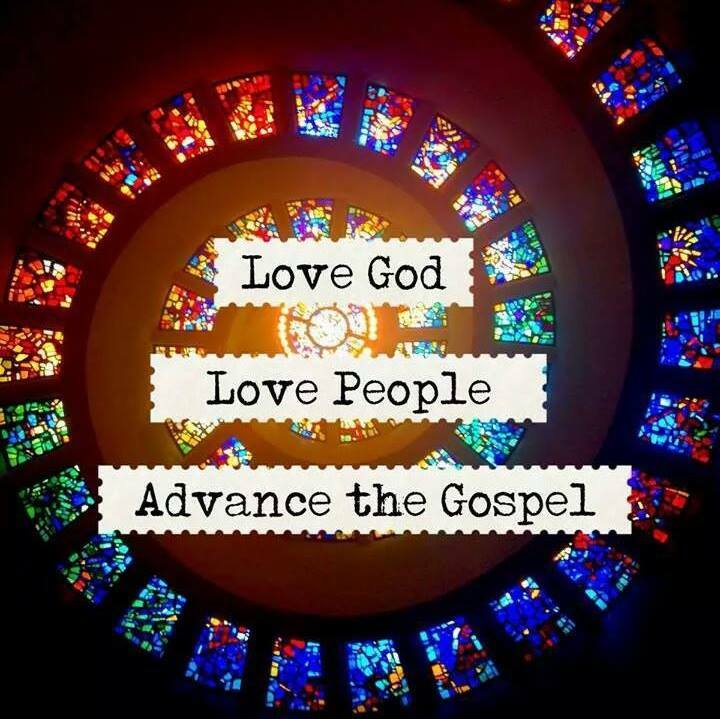 In fact, while I found these same scholars and pastors struggling to dissect and understand the exact meaning of the two Greek words for love commonly used in the Bible -- "agape" and "phileo" -- I found little consensus on an exact definition for Christian love. At the end of the day, I am content to simply let the Bible speak for itself on this subject. And, what the Bible tells me is that true love is both a feeling and an action. For that matter, true love is an attitude. I am not at all suggesting that Christian love is like romantic love or the stuff of Hollywood. And indeed there are times when we must love despite our feelings and emotions. What I am suggesting is that the Holy Spirit seeks to instill in us an emotional desire -- a desire at the heart level -- to serve others; to see others succeed and grow even when there is no benefit to ourselves. How do I reach the conclusion that real Christian love is both feelings (or emotions) and actions? Because the Bible tells me so. I could point to various places in the Bible to support this point, but for now let's just look at Romans 12. First, we are told that our love must be "sincere" or "genuine". And, to me, actions are actions -- they are neither sincere nor insincere. The same verses tell me that I am to rejoice with those who rejoice and to mourn with those who mourn. And, I just don't see how you can either rejoice with someone or mourn with them without feelings! Again, this is not to say that there are not times when we have to love despite our emotions or feelings, and not because of them. Let's face it, there are certain people who are just not that lovable. And, there are times and circumstances that make it hard to love people on a heart level. But I do believe with all of my heart that God makes it possible for us to have a general love for people -- a heart level kind of love for others. I think that idea scares some pastors and scholars because emotional love is fickle and inconsistent. And that is certainly true. I also think, though, that love is a lot like faith. Love is like faith first because both are fickle and inconsistent. For most of us, our faith is challenged on a regular basis. We have days when we feel like our faith can move mountains, and we have days when our faith is really tested. But, if we work at it, in time our faith gets stronger and stronger. I think our ability to love our neighbors as ourselves works the same way. Second, you have heard it said that "faith without works is dead." Again, I think that love works the same way. Sometimes love starts with feelings or emotions. We may feel a sting in our heart when we encounter someone who is hurting, broken or in great need. The question is "what do we do from there?" Like faith, love does not mean very much if there is no action to go along with the feeling. Love without action is, indeed, dead. There is so much more to be said about love. We are really just scratching the surface. But let me end with this. I really think that love -- or more accurately the absence of love -- is at the heart of the decline in church attendance in the United States. I just don't think that buildings full of people who are just trying to do the right things, as noble as that might be, are very compelling. But sincere love -- real caring, a genuine desire to share both your joys and your heartaches ... well, I think that kind of love can move mountains. "Love is both a feeling AND an action." I love the contradiction to the scholars that say it is only an action. That is a misunderstanding that has twisted belief systems for years about God's character. If God is love, and God is love without emotion, then everything He does would be a task. The cross would have been motivated by a checklist. OOOHHH... This is great ponder material for today. Thanks for sharing your wisdom and your journey into the heart of God. Good word John!! Too much of the church has a Christianity without feeling an experiencing the love of God. Rom 5:5 Now hope does not disappoint, because the love of God has been poured out in our hearts by the Holy Spirit who was given to us. What is the Holy Spirit pouring into our hearts if not the feeling of the love of the Father for us. The reason sinners loved being around Jesus I believe is because they could feel his love. I would agree that many leave church because they don't feel the love of God flowing through us to them. If God my Father didn't feel love in His heart for me as his son then I am pitied man. I feel love in my heart for my children, and if I being sinful feel it for my kids "how much more does your heavenly father feel it for you". I remember in church some years ago at the end of service people were called up for prayer. There was a goth looking young man with black on all over, makeup and a cape on. No one was praying for him, and the Spirit nudging to go pray for him. I felt him just say go love him like I do, he has a wound of rejection and he is crying out to see if anyone will look past the outside and love him. I hesitated and thought he won't receive it Lord. He said go love him. So I went and stared praying for him and said you are not rejected you are accepted and greatly love by your heavenly Father. Then I hugged him and he wept like a baby and Gods love filled his heart that day, and started to heal that wound of rejection. Totally agree with you John (Bob,lol). As we are filled with the Fathers love so we cry "Abba" that will flow out of us to others. Thanks Don! If we could learn this one lesson the church would be unstoppable and the world radically changed!